Fun Casino has only recently opened but it’s quickly becoming the most popular casino online! The whole design of this casino is fun, colourful and takes inspiration from those childhood ball bits we bet you remember very fondly! Remember how exciting it used to be jumping into one and swimming around? Well, that’s how much fun we think Fun Casino is and you can see it from the moment you load the website. We found it well laid out an easy to use. Fun Casino was built with logic in mind. Navigating the site is simple and easy, and you’ll only ever be one click away from the homepage and from there, you can get everywhere! The desktop website is sleek, colourful and contemporary and runs perfectly on virtually any modern browser, including: Firefox, Safari, Internet Explorer and Google Chrome. Fun Casino is a no download casino, simply load up your favourite game and get winning! From the homepage, you can see a selection of each category of games, including the most popular ones. What’s more, you can get to any of the sections, to see all the games in a specific category, with one easy click. 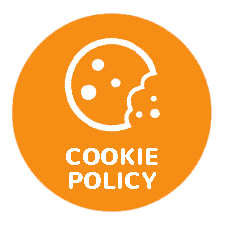 The footer menu is visible no matter which page you go to, so you can easily get back to the homepage, or any other useful page, such as: FAQs, Bonus, Support, Deposits, Withdrawals and many more. The Fun Casino slots number well into the hundreds and includes everything from slots and video slots, to video poker games, live casino games, table games, jackpot games and more! All of the games at Fun Casino are powered by the latest and best gaming software from the top providers in the business, like NetEnt, MicroGaming, Evolution Gaming and Amatic. The most popular games by far are Fun Casino games and this is due to the amazing Slot Tournaments that are run by the casino. The most-loved slots are player favourites, such as: Gonzo’s Quest, Starburst, Game of Thrones, Finn and the Swirly Spin and Allways Fruits, as well as the jackpot slots, like Hall of Gods, Mega Moolah and Super Lucky Frog on which players can win millions and millions! Also extremely popular are the live casino games which are broadcast direct to players from state-of-the-art studios all over Europe. These games, like Live Blackjack, Live Roulette and Live Poker, offer you casino experiences that are simply unforgettable. You play at a real table with a real dealer and the games are just so immersive that you’ll forget that you’re only playing from your computer! Patience might be a virtue elsewhere but not at Fun Casino. You don’t have to wait any time at all for the fun to start thanks to the huge Welcome Bonus. It takes less than a minute for new players to register and when you finish, you get 11 Free Spins (no deposit required)! The fun just keeps on coming, though, as your first and second deposits come bearing gifts as well! With your first deposit comes another 100 Free Spins and with both this and your second deposit comes two 50% Deposit Bonus worth up to €499 each! In total, that means that new players will be able to get 111 Fun Casino Free Spins plus two Deposit Bonuses worth up to a total value of €998! 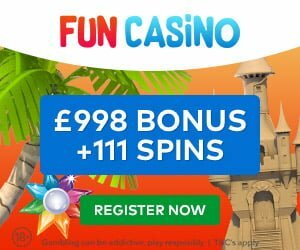 While this might not be the biggest bonus you’ve ever seen, Fun Casino certainly knocks it out the park compared with the majority of online casinos! WHY BECOME A REGULAR PLAYER AT FUN? Some casinos only offer Welcome Bonuses to new players but then forget about regular players. Why game somewhere that only wants to entice new players but doesn’t give regular players anything for their loyalty? Fun Casino is all about making things fun and this applies to regular players as much as new players! For players at Fun Casino, there’s an extra element to the fun that you simply don’t get anywhere else – and that is all thanks to the Slot Tournaments. For each tournament, the casino will choose a game and set a challenge. Players can then enter the challenge by playing the selected game to see if they can make it to the leaderboard! You’ll be attempting to beat your fellow players at things like getting the highest multiplier or getting the biggest number of spins from a certain deposit. Getting to the top of the leaderboard might fill you with a sense of pride but the absolute best thing about these tournaments, however, is the cash prize! The current tournament has a prize pool of €10,000! Fun Casino also runs ‘Fun Friday’ where players can receive Free Spins or Deposit Bonuses every Friday! As we mentioned before, the desktop version of Fun Casino loads faultlessly on any modern browser, and the mobile site is no different. Whether you’re using a mobile or tablet, or any other device, open up your browser and head to the mobile homepage of Fun Casino. Almost all of the games, including the live casino games, can be played on mobile so you really can have fun anytime, anywhere! When you stop and think about it, there isn’t a single thing that other online casinos offer that Fun Casino doesn’t. They have a large collection of games paired with an easy-to-use mobile and desktop website, a decent Welcome Bonus and regular promotions. It’s a great choice for anyone looking for a fresh new casino. Be the first to review and rate Fun Casino!